Cook County Chief Judge Timothy Evans has issued an order which makes the greatest attempt yet to deal with overcrowding in Cook County Jail which is caused by defendants being forced to sit in jail while their cases work their way through the Cook County criminal justice system simply because they cannot afford to post the bond needed to walk out of jail. Estimates place the number of defendants who are sitting in Cook County Jail just because they can’t afford to post bond at between 250 to 300 inmates per day. Most of those bonds are for $1,000 or less. This problem plays a major role in the overcrowding of the 9,000 inmate Cook County Jail. The overcrowding problem at Cook County Jail is causing a major strain on Cook County’s limited budget resources. As of September 18, defendants charged with a felony will be interviewed before their bond hearing about their financial resources. Criminal felony defendants are already interviewed by Pretrial Services before their bond hearing. They are asked about their criminal record, current and past employment history, family history, residence status and mental and physical health status. As of September 18 they will also be questioned about their financial resources. The report will be presented to the judge presiding over the Bond Hearing. According to Judge Evans order, judges will not be allowed to set a higher bond than defendants charged with a felony can afford provided that the defendants do not pose a danger to the public. This approach, goes a long way towards addressing criticism that bond procedures in Cook County discriminate against the poor because it unfairly imprisons the poor, merely because they don’t have the money to post bond. This problem disproportionately affects racial minorities. This problem has been gaining attention as well as support from important Cook County law enforcement personnel. Cook County Sheriff, Tom Dart, has been a long-time proponent of changing the procedures for the setting of bonds to release defendants who are poor and cannot afford the low bonds needed to be released from Cook County Jail. Cook County State’s Attorney, Kim Foxx, has been taking steps to address this problem as well. In March she announced that her office will not oppose the release of defendants who have a bond of $1,000 and under set. Last month she announced that her office will agree to have Individual Recognizance Bonds set for more defendants. Individual Recognizance Bonds, also known as an “I-Bond” do not require that any money be posted for release. Just a signature by the defendant that they promise to appear in court to answer to the charges filed against them. If a judge determines that a defendant poses a threat to public safety, Judge Evans order does not apply. The judge can set a higher bond or can order that the defendant be placed on electronic monitoring in addition to being released on their own recognizance or if they post a bond. The judge is free to impose any restrictions on a criminal defendant to ensure that they will appear in court to answer to the criminal charges. The Court will be free to deny bail if the Judge believes that a defendant poses a danger to the public or the court believes there’s no way to ensure that the defendant will appear in court after they are released. For any defendants who are currently in jail because they cannot afford to post bail, they can ask that their bond be reconsidered by a judge. That judge will be allowed to deny bail or to set a new bond based on the financial resources of the defendant. This new rule will also apply to misdemeanor cases starting on January 1, 2018. If you are facing criminal charges you can always contact James Dimeas for a free and confidential consultation. You can always talk to Mr. Dimeas personally by calling him at 847-807-7405. Judges Ordered to Set Affordable Bonds for Defendants Who Pose No Danger, by Megan Crepeau, The Chicago Tribune, July 17, 2017. Judges Ordered to Set Affordable Bonds for Defendants Who Pose No Danger, by Associated Press, July 18, 2017. 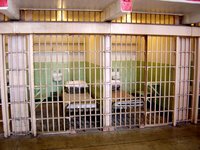 New Illinois Bail Reform Bill Signed Into Law on Friday, by James G. Dimeas, Chicago Criminal Lawyer Blog, June 12, 2017.